Cable Girls, also known as Las chicas del cable, is a Spanish period drama web television series produced by Netflix. The first season, consisting of eight episodes, premiered on Netflix worldwide on April 28, 2017. The second aired on December 25, 2017 and the third season came out on September 7, 2018. The series has been renewed for a fourth season coming in 2019. Here is a synopsis: In 1928, a modern telecommunications company begins to operate in Madrid. The series tells the turn in life that four young women take when they start working for this company. The four of them feel attached in different ways, to their families, their partners, or their memories. Part of the focus of the show is the hardships working women faced in the 1920s. 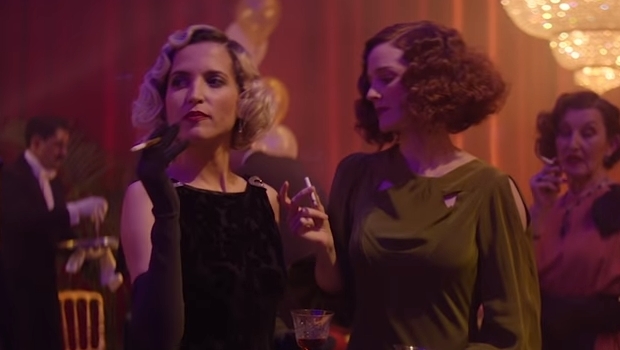 This playlist is an ode to Carlota and Sara‘s relationship, one of the lady pairings in Cable Girls. They are portrayed by Ana Fernández and Ana María Polvorosa.